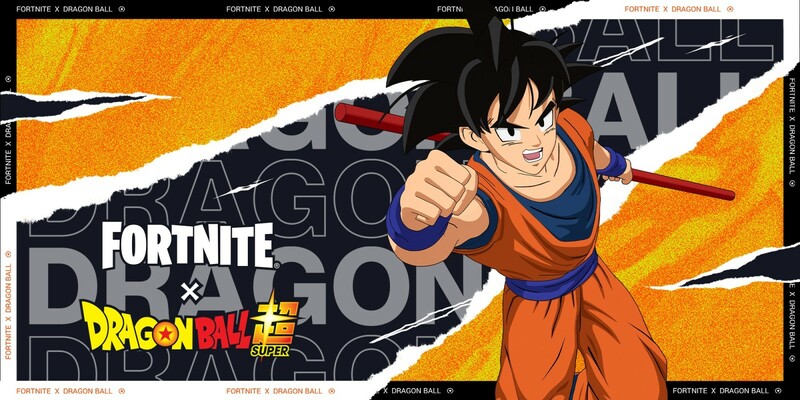 Boasting of one of the largest communities in gaming, Fortnite is not just a sensation, it is a behemoth. With reports of over 200 million registered accounts across the globe, Epic Games has their hands full managing one of the industry’s largest and most dynamic communities. And, as a free-to-play title, Fortnite attracts more than its fair share of cheaters, trolls, and griefers. Of course, acting like a jerk, among other things, will eventually paint you as a target for Epic’s staff and, once the ban hammer has fallen, that’s pretty much lights out for that account. Is that the end, or can you Unban a Fortnite Account? But what could be so bad about that, you might ask, pointing out that, after all, Fortnite is a free-to-play game – can’t you just create a new account? A ban means that any items you’ve accumulated, any progress you’ve made, and any achievements you’ve won are all down the drain. For some people, this doesn’t matter. Yet, for the rest of us, this is a pretty big deal. Mainly because Fortnite, like any other popular, well-made game, is a huge time sink – and no one wants to lose their progress. To avoid that eventuality, it might help to know what practices or activities could lead to your account getting banned. Aside from that, it might also help to know that there is something that can be done about your banned account – and we’re here to help. So, how do you get your account banned on Fortnite? While this isn’t an exhaustive list, it should give you a good idea of the types of behavior that Epic Games doesn’t want to see. At its most basic level, this amounts to no griefing or trolling. Basically any kind of antisocial activity that would have negative repercussions in the real world could have the same in Fortnite. This extends to language and general abuse of other players outside of normal trash talking. Naturally, using someone’s race, religion, gender, or sexual orientation as a point of mockery will not be looked upon favorably. In general, this would fall under the guidelines for hate speech for which there is a zero-tolerance policy on Fortnite. Another area that could get you banned that gamers don’t often think about is glitching the game or intentionally exploiting some flaw in the game for personal gain. Glitching could involve something as simple as clipping through walls to snipe opponents or even taking advantage of broken mechanics in a stage to somehow benefit you or your team. There’s actually a lot of gray area in this department. It is definitely a bannable offense, but often isn’t well defined. For example, someone who accidentally stumbles upon a glitch is unlikely to suffer consequences for it. Banning someone for this refers to repeated attempts at somehow breaking the in-game rules. How does Epic figure out you are trying to cheat in this way? You could get reported or they could review your activity and see what’s up. You’ll get caught eventually so just ignore any videos on the Internet telling you about the latest level hack or exploit. It’s not worth it. Another thing Epic doesn’t like is using a VPN but this won’t always get your account banned. You could be removed from the match. They might also remove your account for lag and a slow Internet connection but we haven’t heard of any accounts being banned for this reason. What isn’t a gray area for Fortnite is using cheating software. If you use any kind of third-party software to give you an advantage in the game – from aiming more efficiently or what have you – then you will have your account banned, and fast. Again, to prove you’ve done this, Epic needs only to look at your in-game performance. You’re not going to be able to hide the fact that you are cheating. And, if you’re using third-party software to help you, you’ve got what’s coming to you. One last way you could get your account banned, although this is supposedly rare, is if you somehow break in-game rules to ruin the experience for others. Though this technically falls under griefing or trolling, most people don’t know it. For example, pairing up in a solos game could get your account banned. This is because acting as a duo in a solo match breaks the rules of the game mode and ruins the experience for others. Thankfully, Epic Games has a very robust customer support center. This is where you will need to file an appeal to your ban from Fortnite. In order to Unban a Fortnite Account, please follow the below steps. We can help you from filing the appeal and crafting the initial messaging to also helping your with follow-up responses from Epic Games. Click on the “Contact Us” button. You will be on the ticket submission form page. Here you will need to categorize your message appropriately. You will need to describe your problem with Fortnite. Now is where we enter the picture. You will need to describe to customer service what your problem is and what might have caused it. We can help you navigate this part of process. Your message needs to hit the right notes with Epic Games in order to get your account restored. No matter what the reason behind the ban, there might be a reasonable explanation that can help you recover your account. We will help you with your reasonable explanation because, let’s face it, not all of us are good with words. Once you click on the submit button your ticket will be sent to Epic’s customer support team. At this point you just start waiting for a reply from Epic to see if your account is unbanned. If not, you will receive an email that explains why your account wasn’t unbanned. Don’t worry – you can now work directly with Epic to overcome the issue that might be present with your account. Remember, if your account is banned, don’t lose hope – let us help you recover it! You can get started with UnbanService!